Ayreon needs no introduction to Prog lovers: over 22 years the band has proved album after album to be one of the most interesting and unique projects out there. The Dutch Arjen Lucassen, the mastermind behind the Metal orchestra, has managed to involve a plethora of amazing musicians such as Iron Maiden’s Bruce Dickinson, Blind Guardian’s Hansi Kürsch, Dream Theater’s James LaBrie, Genesis’ Steve Hackett and countless others who sang and played on his songs. The only deficiency, so to say, that could be found in the band was the complete absence of a live side to the band; while Avantasia proved that a Metal orchestra can play live, and even tour, Ayreon never performed live because of Lucassen’s uncomfortableness in playing live. That was until the last weekend when Ayreon Universe happened. Announced last November as a one-off, two-date event, the uniqueness of the shows brought it to sell-out all the tickets (about 3000 for each gig) in a few minutes and prompted the promoters to add a third show which, again, sold-out in less than a day. Among the singers involved for this event there were Nightwish’s Floor Jansen and Marco Hietala, Blind Guardian’s Hansi Kürsch, former The Gathering’s Anneke van Giersbergen (currently in VUUR), Katatonia’s Jonas Renkse and many others. When I reach the venue in the early afternoon, I find a small queue that quickly grows into reaching the corner of the 013 Poppodium and continues around it: there is a palpable excitement in the air and many different languages and accents can be heard, proving how the shows have drawn people from all around the world. Getting into the venue, the fans are greeted by large curtains which, as the show begins, open to a large stage and a big screen working as a backdrop that showed a number of impressive animations over the night. 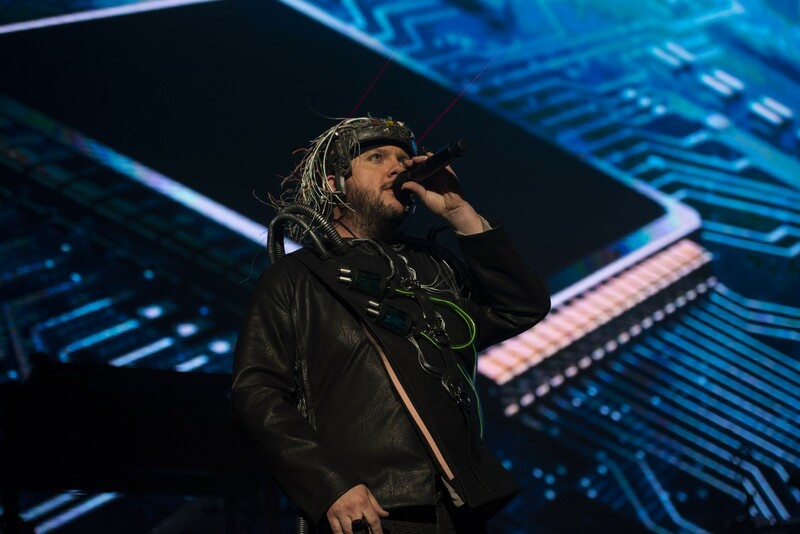 The crowd roars as Toehider’s Mike Mills appears on stage, dressed as TH-1, the character he played in Ayreon’s latest album “The Source”, and starts reciting “Prologue”, the first track from “The Final Experiment”. The first musician to approach the stage is the keyboardist Joost van den Broek (who also worked on the production of the event), who plays a short atmospheric piece: darkness falls and the only light comes from the stars moving on the large screen behind him while smoke rises from the stage. The other musicians finally join him and, with Kayak’s Edward Reekers at the microphone, they start to play “Dreamtime”. 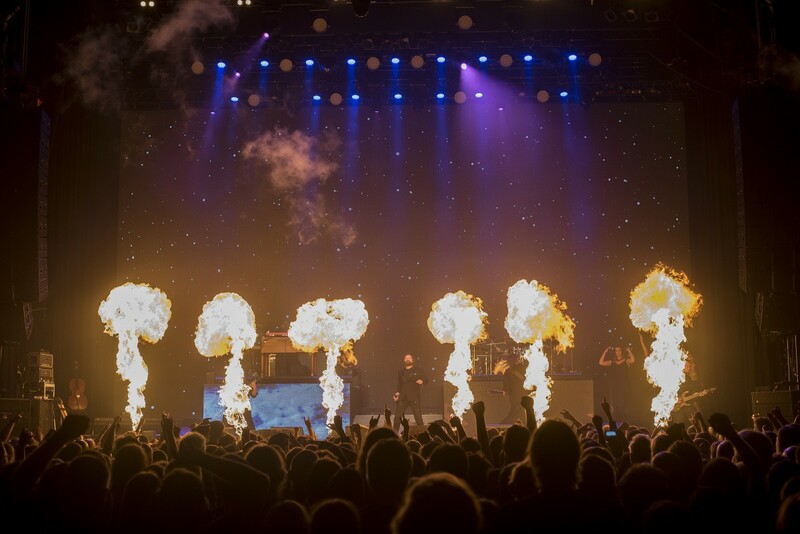 Over the following two hours and a half, fire and smoke are shot from the stage as songs from the whole of Ayreon’s discography, and even two songs from Lucassen’s other band Star One, are played. The band plays with great precision and every single member, apart from maybe the drummer, have their moment under the spotlight, from Marcel Coenen, the lead guitarist, to Jeroen Goossens, the flutist who often jumps to the centre of the stage to play his parts. 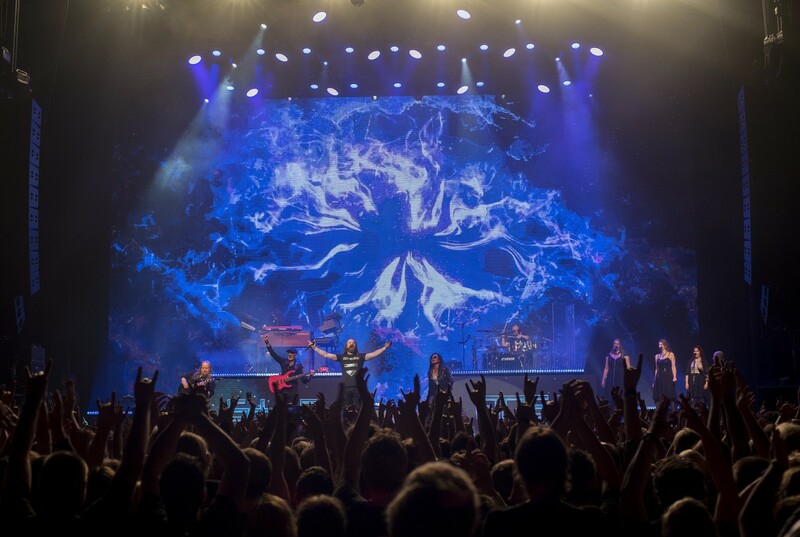 Seeing all the great vocalists singing together is pretty incredible, where else could we have hoped to see Hansi Kürsch duet with Marco Hietala, Floor Jansen with her sister Irene Jansen, or Anneke van Giersbergen with Jonas Renske? Maybe someone in the crowd didn’t hear a specific song they were hoping for, but between “River of Time” and “Merlin’s Will”, “Waking Dreams” and “Age of Shadows”, “Actual Fantasy” and “Comatose” and all the other songs, 29 in total covering the whole career of Lucassen, hardly anyone could complain about the setlist. 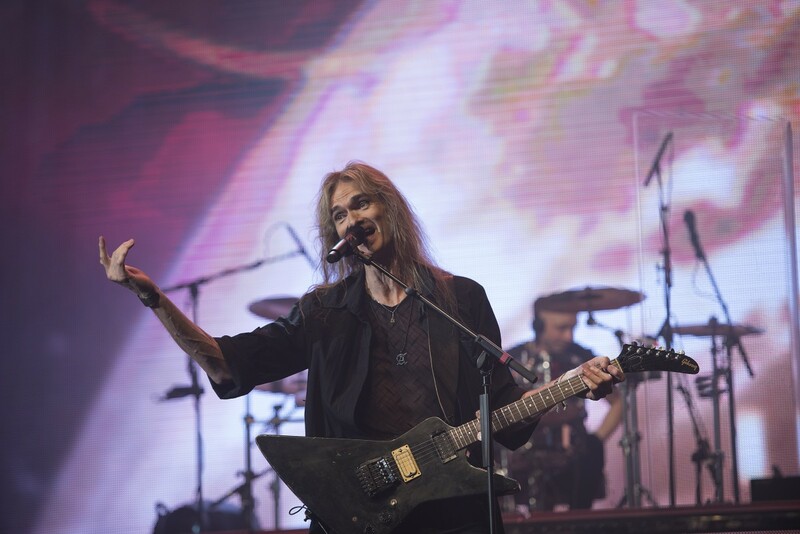 As the show is reaching the end, the moment most people are waiting for finally happens: the reclusive genius, Arjen Lucassen, appears on stage wearing a Gibson Explorer and starts playing “The Castle Hall”. 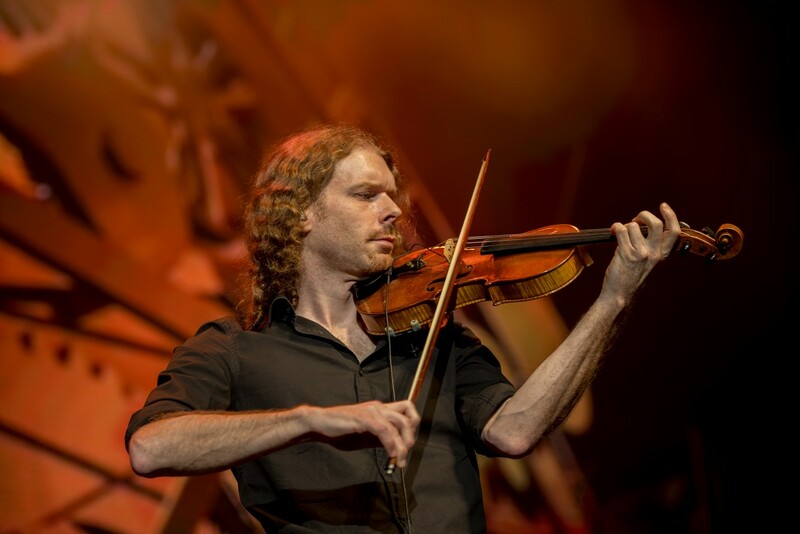 Joined on stage by Robert Soeterboek and Threshold’s Damien Wilson, he plays the song jumping around with a big smile on his face; by this short performance he seems more like an experienced showman rather than the stage anxious musician he claims to be. After the song, Arjen takes the microphone and, here, we can see him getting very anxious as he gives a speech thanking the fans, the musicians and the crew, and explaining how this event came to be; the crowd, though, supports him with large applauses and helps him get through it. At the end of the speech Lucassen apologizes for being the singer for the next song and starts playing “Amazing Flight”; as he hits the first note all the anxiousness vanishes, or so it seems from the crowd, and joined on stage by Jay van Feggelen he proceeds to give another great performance before retreating once again behind the backstage. After “Day Eleven: Love” is the turn of “The Eye of Ra”, the final song of the show: on this song Damien Wilson, John Jaycee Cuijpers and the Jansen’s sisters alternate behind the microphones, then are joined by all of the other musicians who played and sung during the night. This orchestra, the ensemble of great musicians on stage, sings together the last verses of the song and, after a bow, leaves the stage for the last time this night. Leaving the hall, it is clear from everyone’s smile that it was a night that nobody will forget easily; for all those who couldn’t come, wait for the DVD/Blu-Ray, you’ll see it for yourselves!